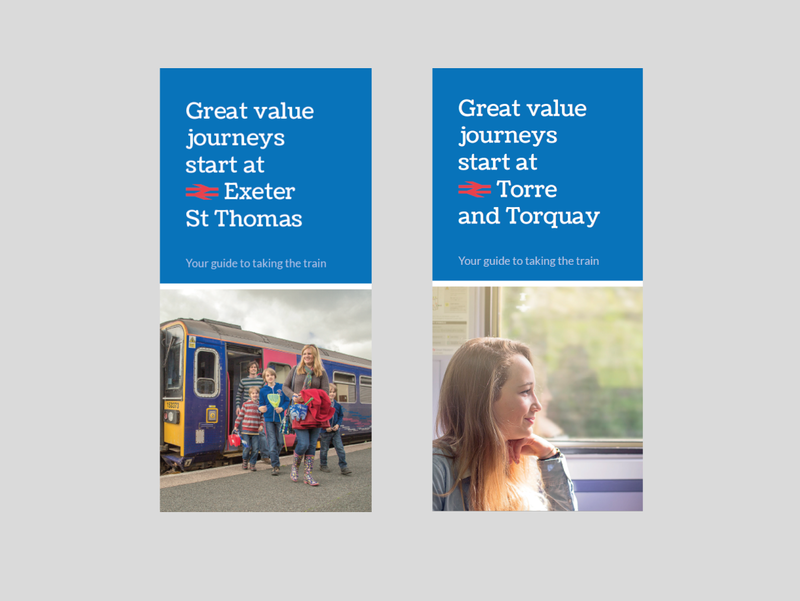 Citizens’ Rail’s lead partner the Devon & Cornwall Rail Partnership mounted an extensive marketing campaign to encourage people back to travelling by rail following February’s storm damage that closed part of The Riviera Line for two months – winning two national awards in the process. 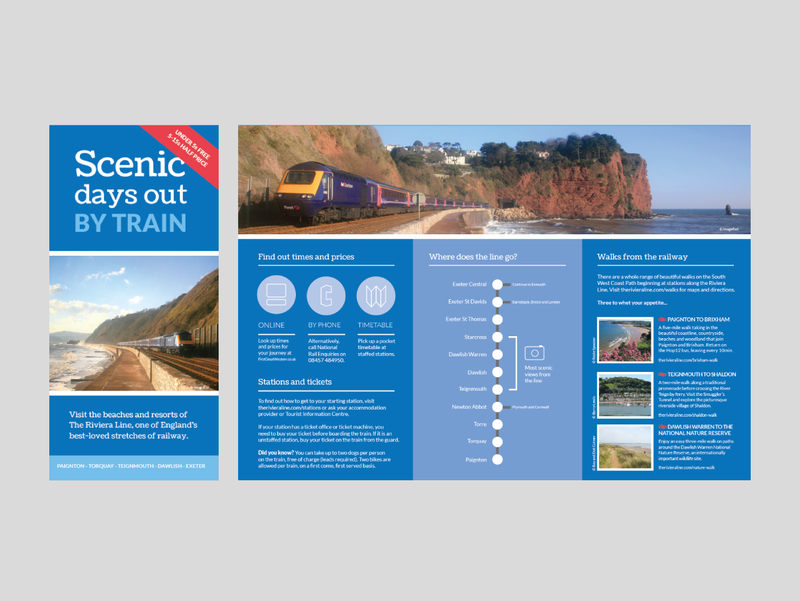 Devon & Cornwall Rail Partnership was keen to place people at the heart of the campaign, and to harness the local feel-good factor that surrounded the return of trains to the line – with the aim of winning back lost passengers, and attracting new users who were not previously in the habit of taking the train. The campaign was formed of two phases. 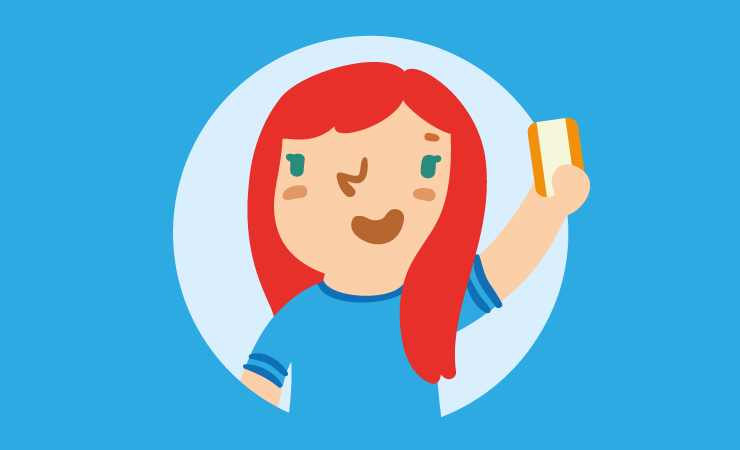 Due to the lack of a strong library of photographs of people taking the train, the initial phase used a set of illustrated characters to create a friendly and accessible tone. 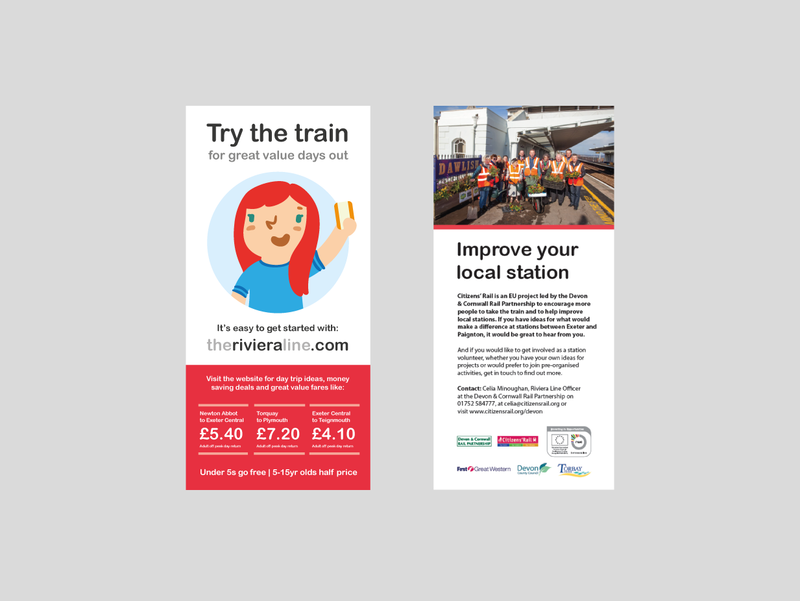 These were employed in a series of newspaper advertisements, and also on a brand new website – TheRivieraLine.com. 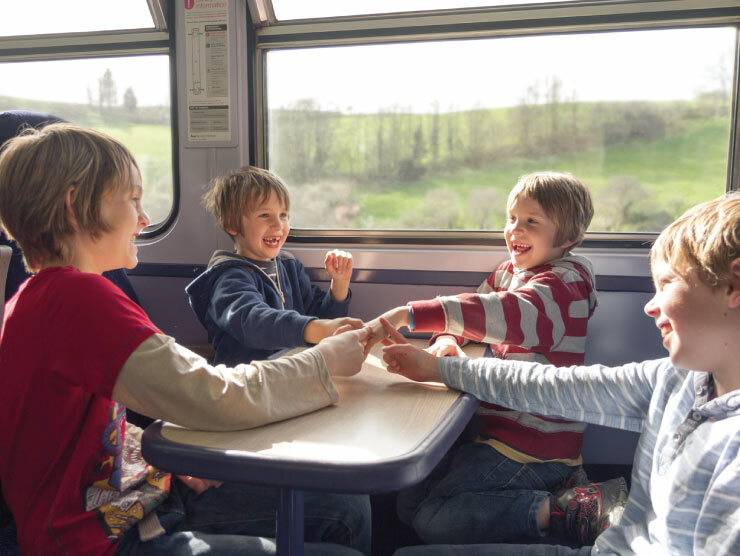 The website provides a hub where new and existing passengers can find both practical local travel information as well as inspiration for daytrips by train. While this initial promotion was underway, photography was commissioned. 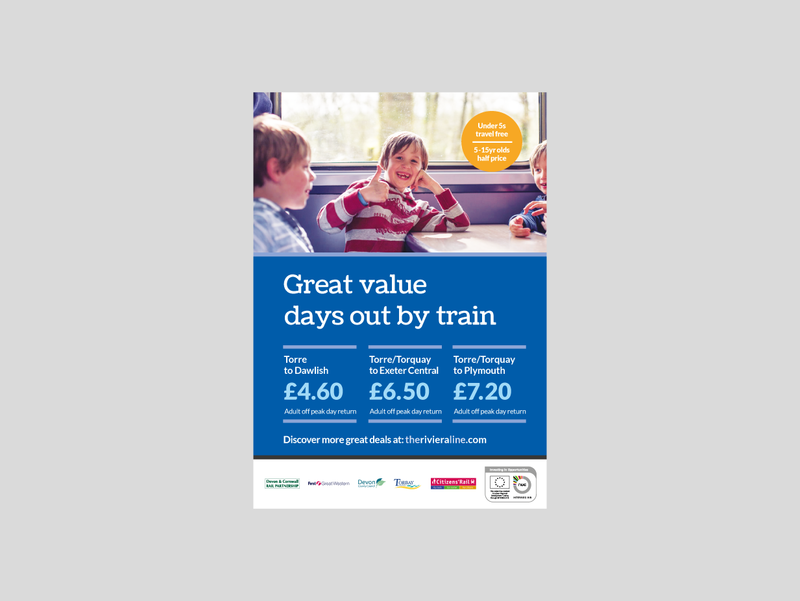 This was then used in a second phase of marketing, comprising further adverts and a set of leaflets, targeted at local residents in the vicinity of stations along the line to encourage them to use their local rail services. 35,000 leaflets were delivered door-to-door by Royal Mail. A separate run of 5,000 tourist-focused leaflets was also produced and distributed via Tourist Information Centres and other outlets. 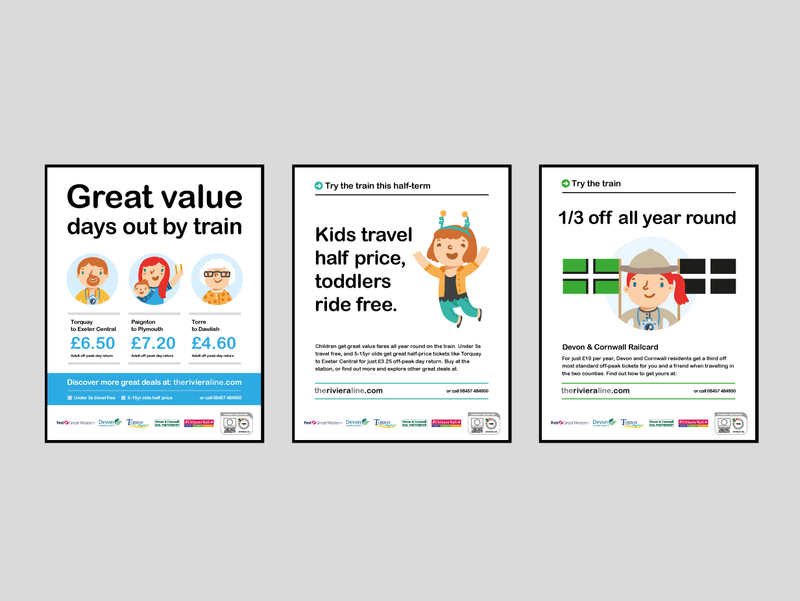 The campaign was shaped by ideas and suggestions from the other partners within Citizens’ Rail. 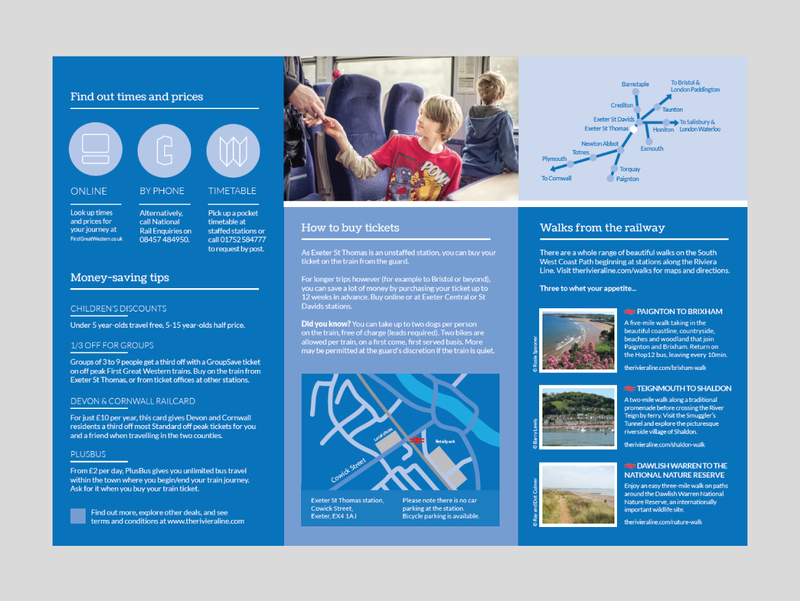 For example, the leaflets’ vertical line map was inspired by a similar design in Pays de la Loire’s “Beach Train” marketing, and feedback from Stadt Aachen in a previous partner meeting about the importance of strong, prominent photography within marketing materials helped shape phase 2 of the campaign. During the three months after re-opening, the line’s usage bounced back to 98% of the level achieved in the same period the year before. This immediate recovery of lost passengers was a significant success. 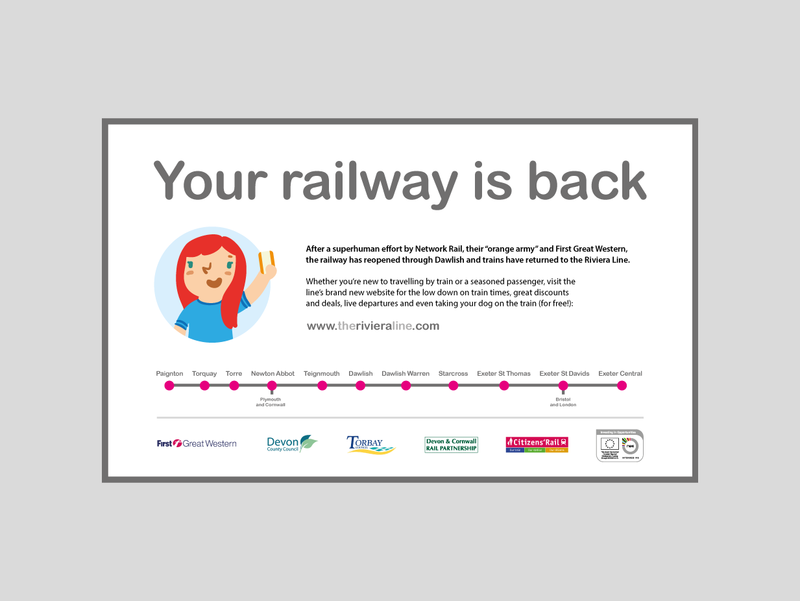 In terms of the marketing campaign, given the exceptional circumstances of the line closure it is extremely difficult to measure how many passengers returned to travelling by train thanks to Citizens’ Rail’s efforts, and how many would have done so without it. However, there are indicators that provide some pointers. 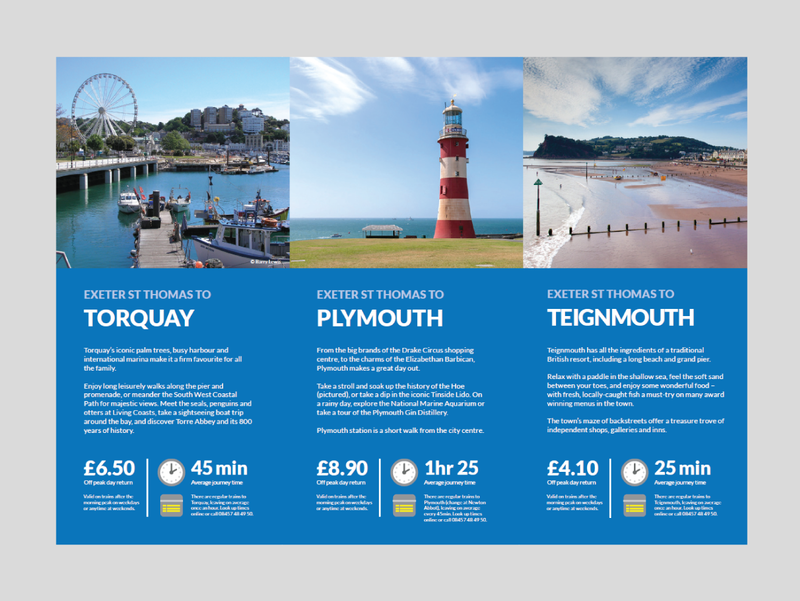 The Devon & Cornwall Rail Partnership has received positive feedback that the tourist leaflets have proved extremely popular – with further copies requested by Tourist Information Centres due to them running out. In addition, the website analytics of TheRivieraLine.com have been monitored carefully. While the level of traffic to the website is not yet as high as the Partnership would like, engagement on the site is strong. 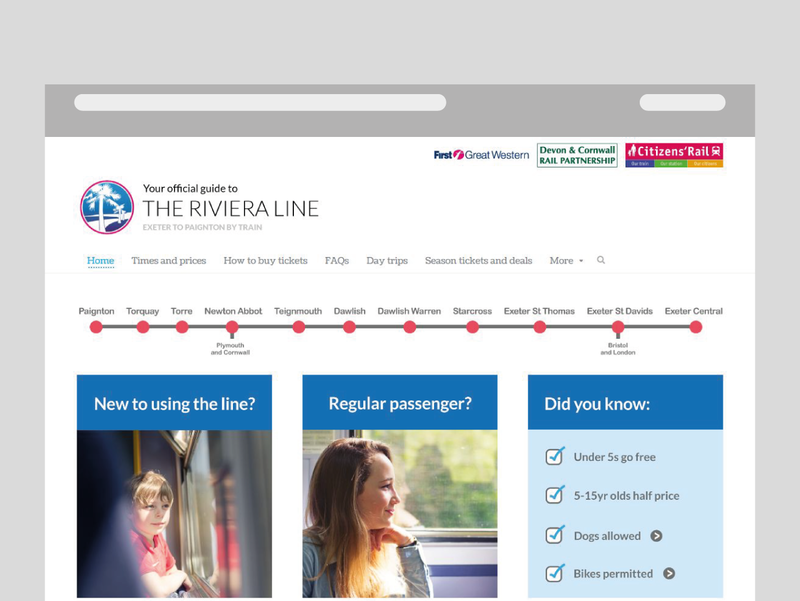 Statistics from the site’s first two months after launch showed that compared to the Partnership’s other websites, users of TheRivieraLine.com stayed longer and explored more. 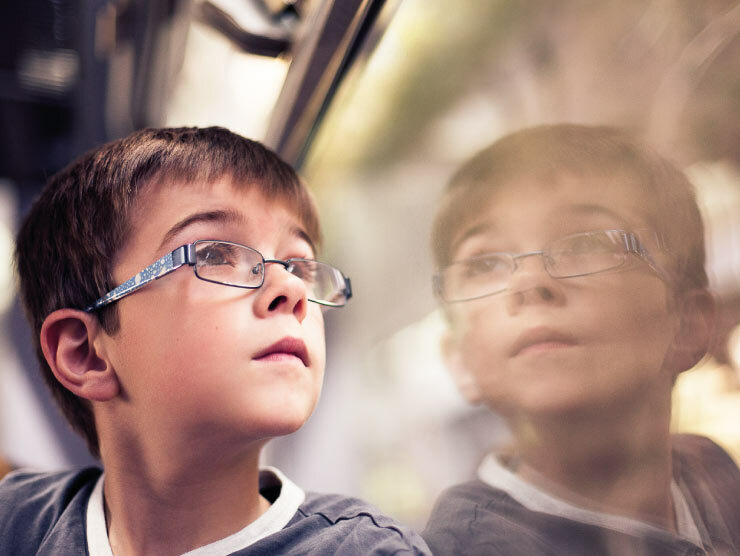 UPDATE – The website won two national awards in autumn 2014: the Innovation category at the UK’s Community Rail Awards and the Community Engagement category at the Rail Exec Club’s Most Interesting Awards. The above campaign ran from April to June 2014. 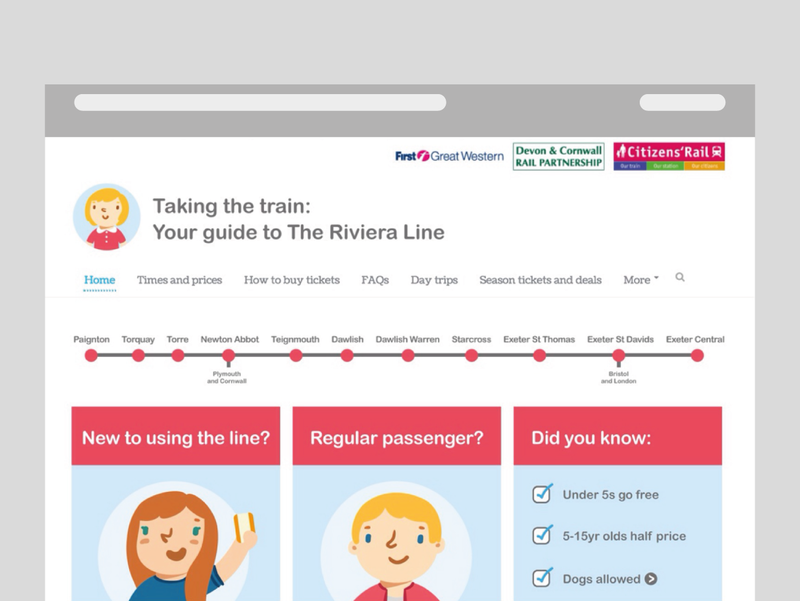 It will be followed by further marketing along The Riviera Line, including further newspaper advertising, leaflets and potentially the use of other media such as radio, cinema, outdoor and social media advertising. Individual projects will also be promoted such as The Riviera Line Minibeast Trail. 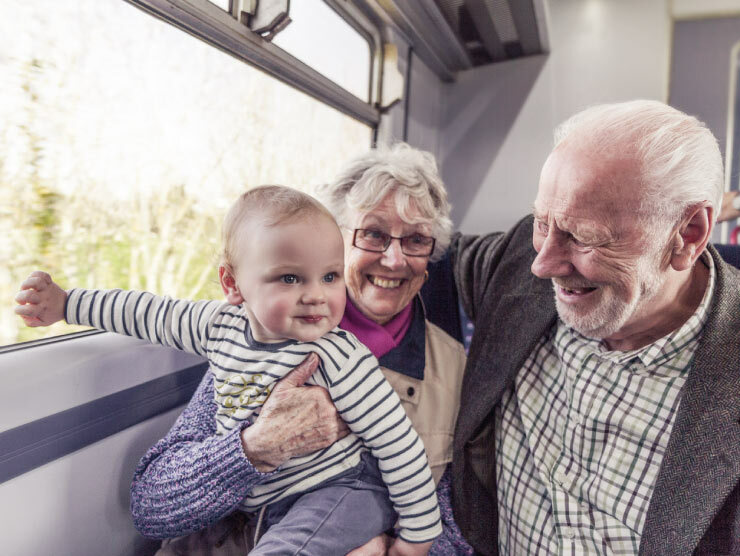 Do you have experience of running community rail marketing campaigns? If so, how do you measure their successes and failures? It would be great to hear your views in the comments beneath this post. 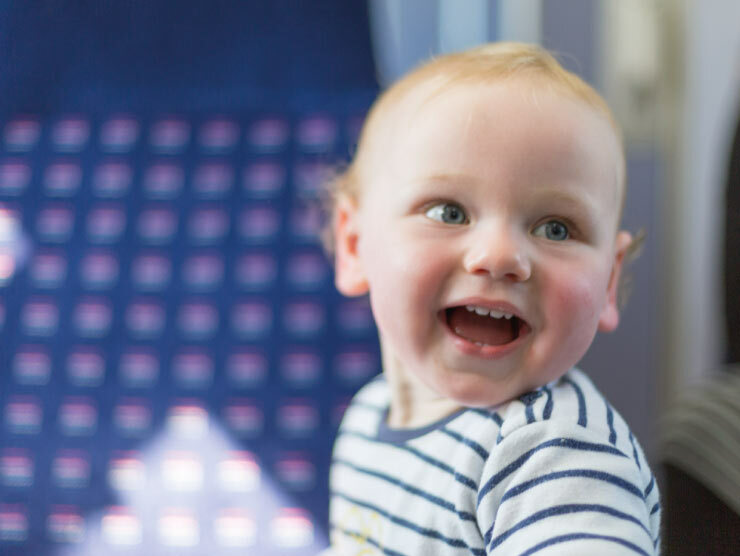 You can also sign up to the Citizens’ Rail e-newsletter or follow us on Twitter to keep in touch.